Look at this! This is a great idea. She microwaves a potato (or steams or boils) it for 10 minutes then presses it in a waffle iron for 4 minutes. That’s it! This entry was posted in Uncategorized on May 25, 2015 by Bix. Love this–does she leave the skin on? Not sure. It looks like she does. I would. 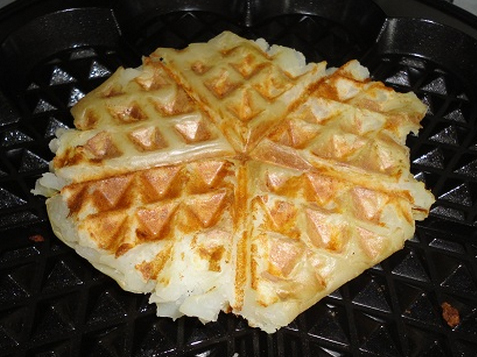 Haven’t got a waffle iron, but thought I might try it with a George Foreman sandwich grill….